Harry Potter and the Deathly Hallows: Part 2 has become the fastest-selling pre-order DVD in the history of Amazon, the firm has confirmed. The final installment of JK Rowling's wizarding tales is available individually and as part of an elaborate box set that encompasses all eight Potter films. 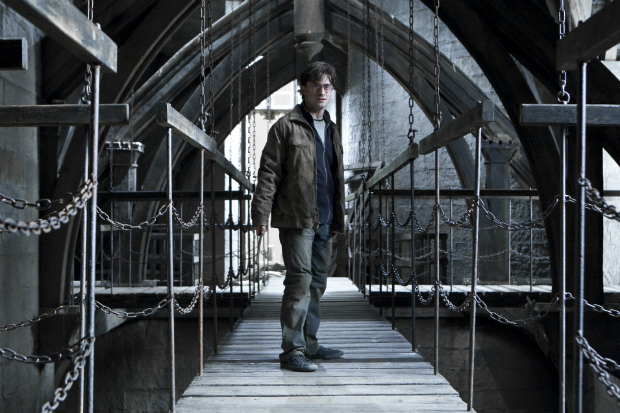 The figures were four times higher than the previous record, set by predecessing film Harry Potter and the Deathly Hallows: Part 1. John Boumphrey, director of DVD and Music at Amazon, said in a statement: "The final instalment of the Harry Potter films was always going to be an immensely popular title with many fans keen to complete their collection, but the demand was incredible with pre-orders overtaking those for Part 1 in just five hours. "Harry Potter and the Deathly Hallows: Part 2 is shaping up to be a huge title and with more than two months to go until release it is set to challenge Mamma Mia! as the most pre-ordered DVD and Blu-ray of all time." Harry Potter and the Deathly Hallows: Part 2, as well as the box set, is available from December 2.